Napkin Rings are a great way to dress up the Holiday table. 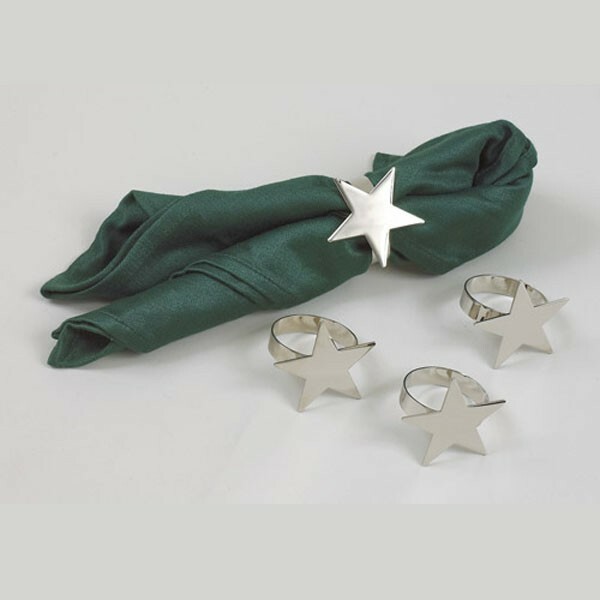 Each of these 4 napkin rings is in the shape of a 5 pointed star and measures 2". Not only will these look great on any Holiday table, but they can be used throughout the year for any occasion. The finish is nickel plated and will not tarnish. White Gift Box.